I am often reminded that when you think you know something, your mind is closed to other possibilities or even to the possibility that the very thing you know may have changed. This is the same case for me last night when I asked my Egyptian cards to share with me knowledge of honeybees. I went through my regular ritual of waking the cards up and breathing my intent into them and then shuffling with intention. During the shuffle, Sekhmet, in her bold way, jumped out at me…didn’t even wait for me to finish shuffling and “choose” my cards. Now, I “knew” that Neith is considered the Bee Goddess of Egypt and Sekhmet is a lioness goddess, though snakes are often associated with her. I assumed that Sekhmet was jumping out at me since I have been working with her a lot recently and she was letting me know she did not appreciate my desire to work with another Neter. I almost put her back in the deck to continue my shuffling, but I am so glad I listened to her. I decided to do a google search with Sekhmet and bees together. I was shocked and humbled to find that Sekhmet does indeed have a connection to bees. Also, there are some Egyptologists who believe that the Sphix is much older than it is believed and it’s head has been changed. Here is a recreation of what it may have looked like to match the stars in the sky (Leo) set near the Pyramids of Giza (Orion). 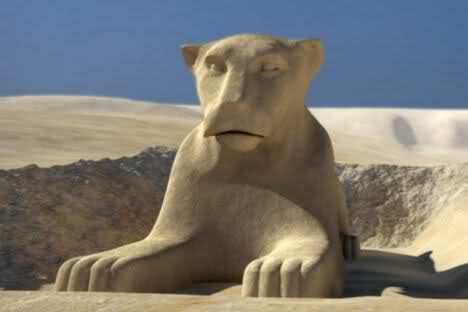 Also, there’s rumoured to be a “Hall of Records” beneath the Sphinx, and one of Sekhmet’s alternative names is Lady of the House of Books. 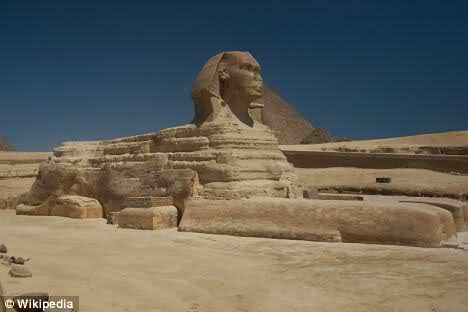 Now Sekhmet is rumored to have 4,000 names; 1,000 that only the Neters know; 1,000 the Neters and other higher beings know; 1,000 her high priests know; 500 lower priests know; 500 the people know. She is also rumored to have one name that only she knows, which she can use to do anything, including destroy herself. One of the main arguments, which I have not seen reference to yet, is that Sekhmet is often called the Eye of Ra. Since honey bees are said to have come from the tears of Ra, it makes sense to say that bees came from the lion (the eye).